I titled this message The Beginning, although it isn’t the true beginning of my journey to this point. The very beginning of my journey was six or seven years ago. Today is The Beginning of the next section of my trail that I’m blazing as the Target® 2011 Iditarod Teacher on the Trail™. This trail is going to be new experiences for me, and it’s going to be a trail for teachers and students to travel with me. On this trail I intend to post photographs and messages to make you feel you’re right here with me; I plan to give you lesson plans that address standards and objectives that you use in your classrooms; I will give you information to use the Iditarod Trail Sled Dog Race™ as a teaching tool to engage your students in learning, and I hope you will catch my passion for the race and Alaska. We begin the weeklong Summer Educators’ Conference tomorrow, and teachers from across the United States will collaborate to share ideas, techniques, and experiences using the race in their classrooms, schools, and communities. 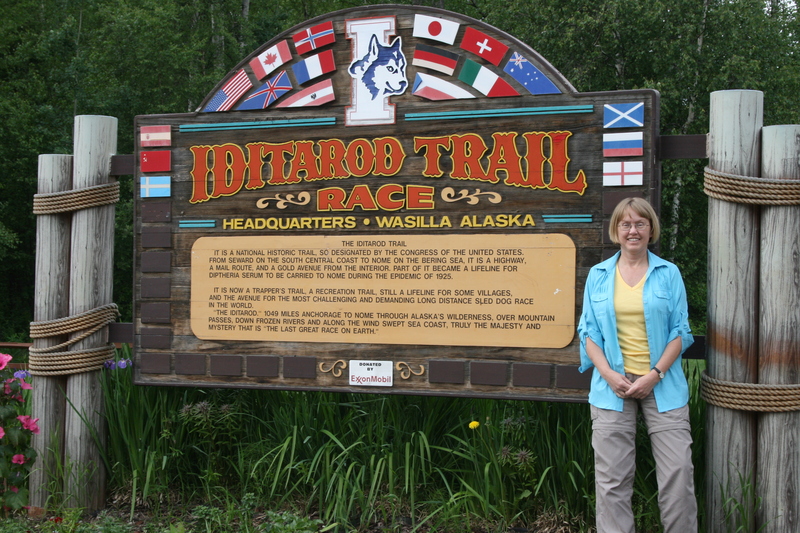 Follow me, and the Iditarod Education Department, here this year as I post messages, lessons plans, and activity ideas. Watch for sled dog race artwork to be posted that you may use in your classrooms.